From 2016, every dog owner must micro chip their dogs under plans to cut a rise in strays. If dog owners fail to have their dogs chipped then this could lead to facing fines of up to £500. The RSPCA welcomed the proposal but said micro chipping alone would not necessarily make owners more responsible or ensure that fewer dogs bite people. Currently some animal charities do offer a free micro chipping service to dog owners or the procedure can cost between £20-£30 at a private veterinary clinic. In the last four years there has been a 26% rise in the number of dog bites requiring hospitalisation. With the number of dog bite claims on the rise it is no surprise that the law has had to extend the legal boundaries in this area. New legislation has no come into force under amendments made to the Dangerous Dogs Act 1991 meaning that dog owners can now be prosecuted for attacks that take place on private property as well as in public places. The new measures are thought to encourage the responsible ownership of dogs and therefore result in reducing the chances of bad behaviour escalating into biting and fatal attacks. The new amendments mean that owners whose animals maul people or intimidate people even on private property such as their own garden or house can now face criminal prosecution for the first time. Previously in the Dangerous Dogs Act 1991 there was a loophole where there was legal redress for people who were attacked on private property. • You can be fined up to £20,000 or sent to prison for up to six months (or both) if your dog is dangerously out of control. • You may not be allowed to own a dog in the future and your dog may be destroyed. • If you let your dog injure someone you can be sent to prison for up to five years or fined (or both). It is important to remember that a dog does not have to bite to be deemed as dangerous in the eyes of the law. If a dog does bite a person, it will be presumed to have been ‘dangerously out of control’ however even in circumstances where the dog does not bite but gives a person grounds to feel that the dog may cause them some injury, then the law still applies. 1. Ensure your dog is out the way before the postman or woman arrives. Place your pet either in the garden or in a faraway room. 2. Give your dog some food or a toy to occupy him while your mail is being delivered. 3. Wait ten minutes after your mail has arrived to let you pet back into the hallway and keep everything as calm and low key as possible. 4. 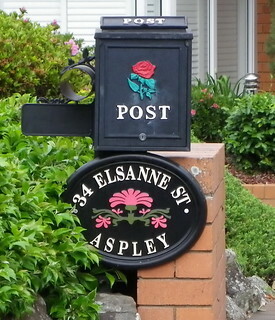 Invest in a wire letter receptacle or an external letterbox. If you have any further concerns then you may speak to the local delivery office about alternate delivery points, including putting up an external letterbox. In addition to the above it is also now an offence for your dog to attack an assistant dog such a guide dog or hearing dog. Police or an appointed local authority now have powers to seize a dangerously out of control dog in a private place as well as a public area. 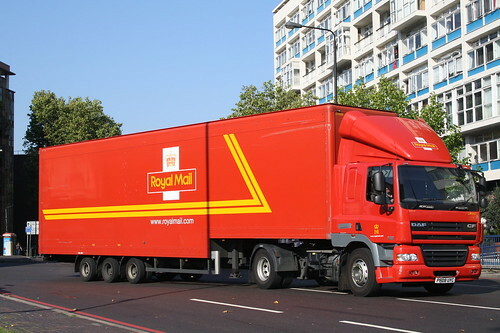 There are a number of animal organisations and politicians working closely with the Royal Mail and CWU to raise awareness of this important issue and encourage responsible dog ownership. We at Spencers Solicitors hope that with greater public awareness and stricter legal protections we see a significant reduction in the number of incidents in the future. We hope that our postmen and women that work in the community on a daily basis are no longer at such great risk of these kind of attacks.